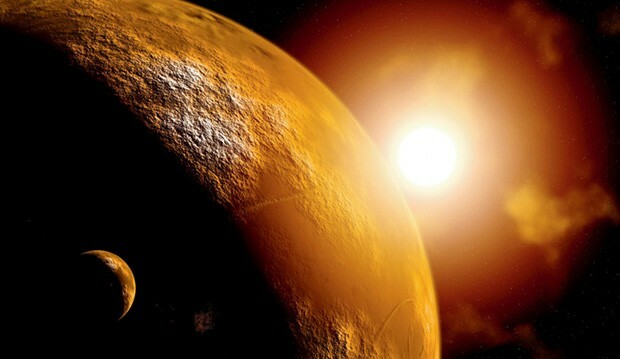 James Kass, a former adjunct professor in the Department of Applied Human Sciences, is an external advisor to the Mars One project, which hopes to establish a human settlement on the Red Planet by 2023. Public enthusiasm for space flight has dwindled since the 1960s, when the subject fascinated a Sir George Williams University undergrad named Jim Kass (BSc 68). Human space flight was all the buzz in the years between the first manned orbital flight (Yuri Gagarin in 1961) and the first human footprint on the moon (Neil Armstrong in 1969). But the last astronaut left the moon in 1972 and, since then, human flight has been restricted to low Earth orbit. "That's not space flight," Kass, a former adjunct professor in Concordia’s Department of Applied Human Sciences, says today with a hint of scorn. "Just 400 km up, that's ridiculous! It's less than the distance from Montreal to Toronto. Real space flight means the moon, or Mars." In an open lecture at Concordia on Wednesday, June 3, Kass — who now operates his own space consulting business, based in The Netherlands — will outline his career experience in the space industry and explain why he is hoping for a space renaissance. His talk is the public element in the Concordia Summer Research Institute's week-long 2015 program, New Dimensions in Space Exploration. The program, organized by Concordia's School of Graduate Studies, will also involve his sister Raye Kass, a professor of Applied Human Sciences at Concordia, along with other faculty members. Concordia alumnus and space expert James Kass: “There’s always been a danger in exploration, but it has proven useful for humankind." James Kass has never been an astronaut but has worked with spacefarers, land-bound scientists and administrators alike in astronaut training, experiment design, neuropsychology, group dynamics and other aspects of spaceflight. He has consulted for NASA, the European Space Agency (ESA), the space agencies of Germany, France and Russia, and other organizations. 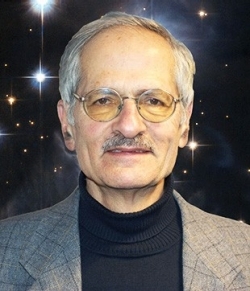 Specific programs he has been involved in include the Soviet space stations Mir and Salyut, along with Skylab, the Space Shuttle and the International Space Station. Along with his sister, Kass is also an external advisor to the Mars One project, which hopes to establish a human settlement on the Red Planet by 2023. Kass firmly believes that humankind should get out of the gravitational field of this planet. "Man wants to take risks," he says. "Why do people climb a cliff when there's an easy footpath? So let's take risks in space. There's always been danger in exploration, but it has proven useful for humankind." "People claim that it's a waste of money," continues Kass. "But the ESA, for example, spends much less than Europe spends on farm subsidies alone. And the whole space flight budget is far less than the U.S. spent on the Iraq war." Space projects can unite humanity, he argues. "Despite all the recent tension with Russia, the West is still working with Russia on the International Space Station." And space exploration is inspirational. "I spent 16 years getting my degrees because of my dream. Today people want to get an MBA and make money, when really they need inspiration." Kass has a BSc from Sir George, an MSc in Physics from the University of Michigan and a PhD in Physics from the University of Leeds. But money can be a motivator, too. The growth of corporate interest in space, Kass hopes, may be the start of "a very great change." Interest in asteroid mining and other commercial ventures may provoke government space agencies to become more active, he says. "Maybe we're in a change of culture. Where there's a will, there's a way." James Kass speaks Wednesday, June 3, at 2 p.m. in Room 1.210 of the John Molson School of Business Building (MB), on the Sir George Willams Campus (1450 Guy St.). Learn more about this and other Concordia Summer Research Institute 2015 events.